Rural Rhythm Records has released I’m All Right the new single from Steve Gulley And New Pinnacle. Written by Christoffer Olsson and Jon Weisberger, this is the second single from the group’s third Rural Rhythm Records album titled Time Won’t Wait. Written by acclaimed songwriter Jon Weisberger and Swedish singer/songwriter Christoffer Olsson, I’m All Right is a hard-driving tribute to a hard-working man who loves his job, but hates leaving his home and family. High lonesome, in your face bluegrass which is such a big part of what we do – Steve Gulley. Produced by Steve Gulley, I’m All Right contains performances by group members, Steve Gulley on lead vocal and guitar, Bryan Turner on harmony vocal and bass, Gary Robinson, Jr. on mandolin and Matthew Cruby on harmony vocal and banjo, with special guest Tim Crouch on fiddle. Steve Gulley and New Pinnacle are currently on tour. For more information go to Stevegulley.com. I’m All Right, as well as the entire album is available for DJ downloads on AirPlay Direct. TIME WON’T WAIT is exclusively distributed by the Orchard and available on iTunes, Amazon and where ever Bluegrass music is sold. Steve Gulley & New Pinnacle includes; Steve Gulley on guitar, Bryan Turner on bass,Gary Robinson, Jr. on mandolin and Matthew Cruby on banjo. Steve Gulley certainly does not need any introduction to the Bluegrass community with accomplishments that include 16 years as a featured performer, staff musician, music director, studio manager and producer at Renfro Valley, KY. From 1994-96 Steve was a member of Doyle Lawson & Quicksilver and a founding member of Mountain Heart (’98 – ’06), Grasstowne (’06 – ’11) and with long-time friend Dale Ann Bradley through 2014. Steve is a winner of four IBMA Awards including Co-writer of the 2008 Song of the Year, Through The Window Of A Train, by Blue Highway and SPBGMA Multi award winner including 2008 Album Of The Year, The Road Headin’ Home, by Grasstowne. Rural Rhythm Records and Steve Gulley have enjoyed a long and successful friendship and business relationship for many years yielding three Steve Gulley solo albums and eight Steve Gulley artist produced albums since 2010 beginning with the release of Dogwood Winter by Steve Gulley and Tim Stafford. Over the past eight years this successful partnership has enjoyed many hit singles from a variety of exciting album projects including two Steve Gulley and New Pinnacle albums; Steve Gulley and New Pinnacle Aim High; Steve Gulley solo gospel album Family, Friends and Fellowship as well as an impressive list of artist produced albums including Claybank Playing Hard To Forget; Stuart Wyrick – East Tennessee Sunrise; Brand New Strings – No Strings Attached; Locust Ridge – Healed; Dave Atkins and Republik Steele – That’s Just The Way I Roll, Carrie Hassler – The Distance; Cumberland River – The Life We Live; Crosspoint – We’re Gonna Rise and the gospel hit single Dancing With Daddy by Debby Gulley. In addition to the artist produced albums Steve Gulley produced two special album projects including the critically acclaimed Civil War themed album God Didn’t Choose Sides and the TV Holiday Special Christmas the Mountain Way that aired on RFD-TV’s Family.net and BlueHighwaysTV networks also available on DVD / CD. Steve Gulley and New Pinnacle have hit the ground running since its first album in 2015. Their two previous Rural Rhythm Records albums have produced multiple hit #1 radio charted songs, including Leaving CrazyTown, Aim High, Not Now, and critically acclaimed album reviews. Produced by Steve Gulley, Time Won’t Wait, to be released on 20th October, is the group’s third album and features the up-tempo hard drivin’ single Drowned In Sorrow written by Steve Gulley and Tim Stafford. Gulley wrote or co-wrote 5 of the songs including the first single, and the title cut, Time Won’t Wait, which was co-written with his chief writing partner, Tim Stafford of Blue Highway. Other key songs include the poignant ballad, The Road Back To You, written by Grammy award winner, Carl Jackson and the straight-ahead, road song, I’m Alright, written by Jon Weisberger and Swedish musician / songwriter Christoffer Olsson. Gulley revisits his traditional country roots with his version of the Ronnie Milsap classic, I Can Almost See Houston From Here. Also included is an amazing break – neck paced instrumental, G-Force, written by New Pinnacle mandolin player Gary Robinson, Jr. This is our third recording project as a band and I couldn’t be happier with the way it turned out. I think the songs complement each other perfectly and, in turn, show the diversity and maturity of the band itself. I feel this album shows how much we’ve grown as a group while still staying true to the things that help define our sound – emotion, drive and intensity. I can’t wait for everyone to hear this new collection of music – Steve Gulley. Steve Gulley and New Pinnacle include Steve Gulley on guitar and vocals, Bryan Turner on bass and vocals, Gary Robinson, Jr. on mandolin, Matthew Cruby on banjo and vocals and special guest Tim Crouch on fiddle. Time Won’t Wait builds on the band’s heritage of strong roots in Bluegrass and Mountain Gospel music and at the same time provides a new and fresh sound that further accents the Steve Gulley and New Pinnacle signature sound. Steve Gulley and New Pinnacle are currently on tour. For more information go to Stevegulley.com. TIME WON’T WAIT is exclusively distributed by the Orchard and will be available on iTunes, Amazon and where ever Bluegrass music is sold. D.J.’s can download the album on AirPlay Direct. Over the past seven years this successful partnership has enjoyed many hit singles from a variety of exciting album projects including two Steve Gulley and New Pinnacle albums Steve Gulley and New Pinnacle and Aim High; Steve Gulley solo gospel album Family, Friends and Fellowship. Rural Rhythm Records has announced the release of Drowned In Sorrow the new single from Steve Gulley And New Pinnacle. Written by Steve Gulley and Tim Stafford, Drowned In Sorrow is the first single from the groups upcoming third Rural Rhythm Records album titled Time Won’t Wait scheduled for release in October. During one of our writing sessions, my buddy, Tim Stafford, and I were going through song ideas and subject matter, as is usually the case. Tim had the title, Drowned In Sorrow, written in his notes and it instantly stuck. Before we even wrote any of the initial lyrics, we agreed that the hook line felt like a straight ahead bluegrass tune. The finished product came together just as we heard in the beginning. I think it’s a classic, up-tempo, traditional sounding song with an awesome intensity all its own. It’s going to be one that’s a lot of fun to play and sing every night – Steve Gulley. Produced by Steve Gulley, Drowned In Sorrow contains performances by group members, Steve Gulley on lead vocal, Guitar, Bryan Tuner on harmony vocal and bass, Gary Robinson, Jr. on mandolin and Matthew Cruby on harmony vocal and banjo with special guest Tim Crouch on fiddle. The up-tempo and hard-drivin’ Drowned In Sorrow has the same signature sound and feel as the lead singles from Steve Gulley And New Pinnacles previous albums both containing #1 singles, Leaving CrazyTown and Aim High, on the Bluegrass Today Weekly Airplay Chart. Steve Gulley and New Pinnacle are currently on tour. For more information go to Steve Gully’s Website. The single is available for DJ downloads on AirPlay Direct. The Gulley family name enjoys a rich musical heritage that reaches across generations with strong roots in Bluegrass and Mountain Gospel music. It starts with long time radio personality n’s son, Steve Gulley, has carried on the family tradition performing for many years with Doyle Lawson & Quicksilver, as a founding member of Bluegrass super groups Mountain Heart and Grasstowne, as a regular featured performer at Renfro Valley and with Steve’s longtime friend and colleague Dale Ann Bradley. Steve Gulley & New Pinnacle includes; Steve Gulley on guitar and vocals, Bryan Turner on bass and vocals, Gary Robinson, Jr. on mandolin and Matthew Cruby on banjo and vocals. Steve Gulley certainly does not need any introduction to the Bluegrass community with accomplishments that include 16 years as a featured performer, staff musician, music director, studio manager and producer at Renfro Valley, KY. From 1994-96 Steve was a member of Doyle Lawson & Quicksilver and a founding member of Mountain Heart (’98 – ’06), Grasstowne (’06 – ’11) and with longtime friend Dale Ann Bradley through 2014. Steve is a winner of 4 IBMA Awards including Co-writer of the 2008 Song Of The Year, “Through The Window Of A Train”, by Blue Highway and SPBGMA Multi award winner including 2008 Album Of The Year, “The Road Headin’ Home”, by Grasstowne. Rural Rhythm Records and Steve Gulley have enjoyed a long and successful friendship and business relationship for many years yielding three Steve Gulley solo albums and eight Steve Gulley artist produced albums since 2010 beginning with the release of “Dogwood Winter” by Steve Gulley and Tim Stafford. Over the past seven years this successful partnership has enjoyed many hit singles from a variety of exciting album projects including two Steve Gulley and New Pinnacle albums “Steve Gulley and New Pinnacle” and “Aim High”; Steve Gulley solo gospel album “Family, Friends and Fellowship” and an impressive list of artist produced albums including Claybank “Playing Hard To Forget”; Stuart Wyrick – “East Tennessee Sunrise”; Brand New Strings – “No Strings Attached”; Locust Ridge – “Healed”; Dave Atkins and Republik Steele – “That’s Just The Way I Roll”, Carrie Hassler – “The Distance”; Cumberland River – “The Life We Live”; Crosspoint – “We’re Gonna Rise” and the gospel hit single “Dancing With Daddy” by Debby Gulley. In addition to the artist produced albums Steve Gulley produced two special album projects including the critically acclaimed Civil War themed album “God Didn’t Choose Sides” and the TV Holiday Special “Christmas The Mountain Way” that aired on RFD-TV’s Family.net and BlueHighwaysTV networks also available on DVD / CD. 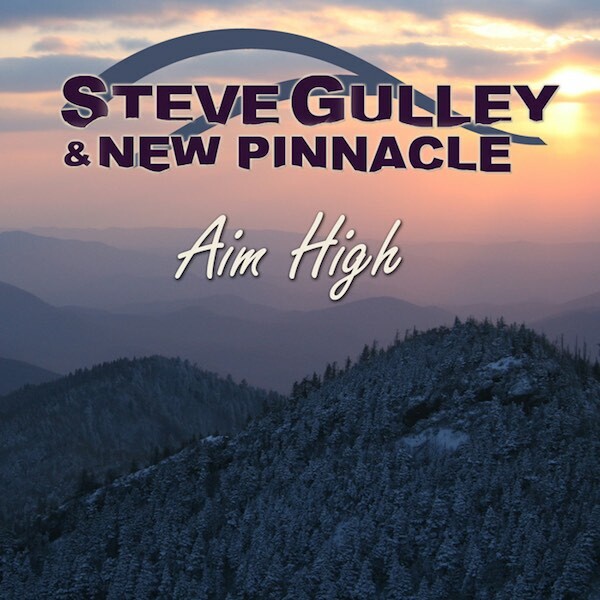 Here is a new album from Steve Gulley & New Pinnacle called “Aim High”. It is now available on Rural Rhythm Records. 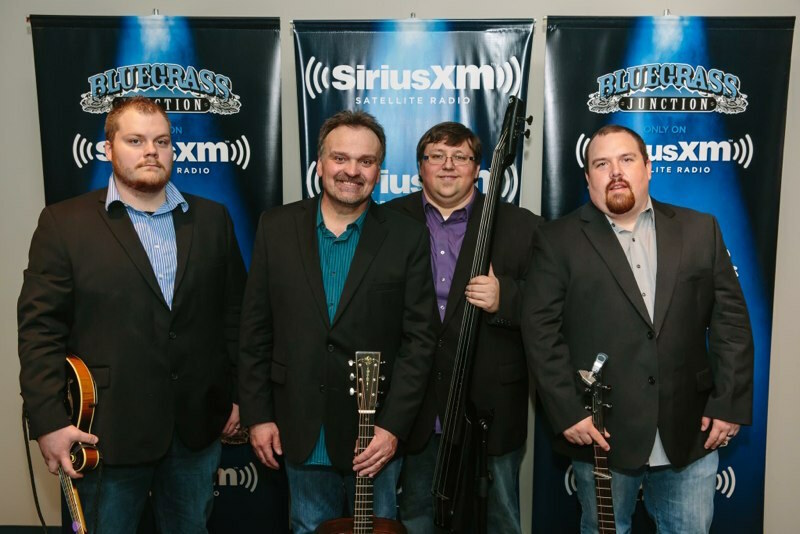 “Aim High” is the band’s highly anticipated follow-up album and contains the #1 single “Aim High” from Bluegrass Today’s Weekly Airplay Chart. With the success of our debut project, the guys and I knew the expectations would be even higher for our sophomore recording. With that in mind, we went about the business of writing and finding the very best songs we could with an even stronger intensity. We hand – picked songs from within the band and from some of the greatest songwriters our music has to offer. That being said, I couldn’t be happier with the new music we’ve created on “Aim High”. I am so proud of our debut album and see it as laying the foundation for our music and sound but, as is always the case, once you have a strong foundation; it’s time to start building on that. I really feel like we’ve done that with the new recording, while staying true to our band’s original sound. I’m so excited to share this, the next chapter, with everyone – Steve Gulley. Steve Gulley & New Pinnacle includes Steve Gulley on guitar, vocals, Bryan Turner on bass, vocals, Gary Robinson, Jr. on mandolin, Matthew Cruby on banjo, vocals and special guest Tim Crouch on fiddle. Aim High builds on the band’s family heritage of strong roots in Bluegrass and Mountain Gospel and at the same time provides a new and fresh sound that further accents the signature sound of Steve Gulley& New Pinnacle. On air presenters can now download “Aim High” on AirPlay Direct and the album is available on iTunes, Amazon and all other digital and online sources. 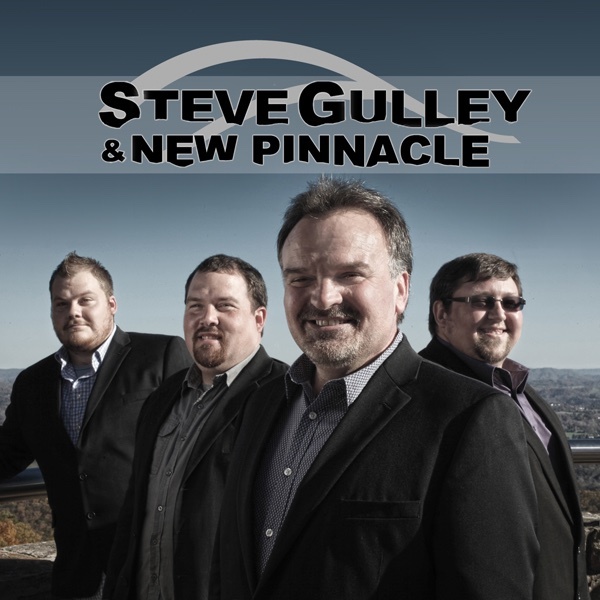 Steve Gulley & New Pinnacle is now touring the US in support of their debut album. Go to the band’s web site for a complete listing of tour dates. Steve Gulley & New Pinnacle includes; Steve Gulley on guitar, vocals, Bryan Turner on bass, vocals, Gary Robinson, Jr. on mandolin and Matthew Cruby on banjo, vocals. Steve Gulley certainly does not need any introduction to the Bluegrass community with accomplishments that include 16 years as a featured performer, staff musician, music director, studio manager and producer at Renfro Valley, KY. From 1994-96 Steve was a member of Doyle Lawson & Quicksilver and a founding member of Mountain Heart (’98 – ’06), Grasstowne (’06 – ’11) and with longtime friend Dale Ann Bradley through 2014. Steve is a winner of 4 IBMA Awards including Co-writer of the 2008 Song Of The Year, “Through The Window Of A Train“, by Blue Highway and SPBGMA Multi award winner including 2008 Album Of The Year, “The Road Headin’ Home”, by Grasstowne. Rural Rhythm Records and Rural Rhythm Recording artist Steve Gulley have started a new series created to spotlight artists from the heart of the mountains. The music will be recorded at Gulley’s recording studio The Curve, in Cumberland Gap, Tennessee, nestled in the Tri-State area where Tennessee, Kentucky and Virginia meet near the base of the Cumberland Mountains. I’m so excited about the new, “Wide Open At The Curve”, recording series. When my good friend, Rural Rhythm Records President/CEO Sam Passamano II and I discussed upcoming projects we wanted to create together, we both agreed that we saw a glaring need for a vehicle that could give a voice for some great vocalists, songwriters and instrumentalists whom you may otherwise never see in the spotlight. This is a way to allow folks who have been seen in supporting roles, undiscovered or simply never stepped out front and center a way to be heard and seen on the national stage. Most of the talented people who’ll be included in the series have traveled all over the country and some, even worldwide as part of ensembles or groups but may never have been allowed to truly shine on their own. It is our intent to make that happen with this series of recordings. I can’t wait to share this fresh, new music with everyone. Get ready to hear some incredible new sounds from some uniquely talented people who, in my opinion, are long overdue – Steve Gulley. Selecting the first project for “Wide Open At The Curve” was easy and comes from within the family. Stuart Wyrick and Steve Gulley were former band mates with the Dale Ann Bradley Band and label mates with Rural Rhythm Records where Gulley produced the first Brand New Strings album and brought the project to Rural Rhythm (Stuart played banjo for the group). Rural Rhythm Records released two Brand New Strings albums; No Strings Attached in 2010 and Stay Tuned in 2012. In addition, Wyrick wrote “That’s You” from the Stay Tuned album and that song reached Top 5 on the Bluegrass Junction – SiriusXM – Most Played Tracks in September 2012. “Little Moonshine Johnny” is written by Keith Williams and features Keith on lead vocals along with an award-winning All-Star Bluegrass group of musicians including; Kenny Smith (guitar), Tim Crouch (fiddle), Alan Bibey (mandolin), Steve Gulley (tenor vocal, bass)and of course Stuart Wyrick (baritone Vocal, banjo). Many years ago I heard this song performed by Hard Times, a popular Bluegrass group in the Tri-Cities area in Tennessee. Keith Williams, the songwriter, and I grew up in the same rural community called Tater Valley. The song tells the story of a way of life for mountain folks that had no other way to provide for their families other than moonshining. Although Johnny is breaking the law, we find ourselves visualizing his hard work and cheering him on in his escape – Stuart Wyrick. While on tour in Ireland, I heard another fellow banjo player, Jurgen Biller from Stuttgart, Germany perform this instrumental at the Ulster American Folk Park, Omagh. It has a Scruggs sound to it and it caught my attention. It displays an up tempo, yet traditional sound – Stuart Wyrick. Wyrick is no stranger to Bluegrass music. 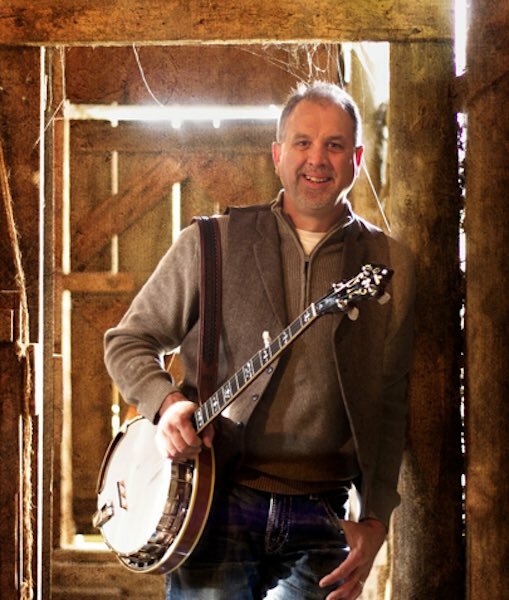 Over the past few decades he has been a band member playing banjo in the Dale Ann Bradley Band since 2013 and stays busy performing with the award-winning artist nationally and internationally and especially enjoys performing at the Grand Ole Opry. Stuart’s love for the banjo started in the 70’s when his dad took him to see an Osborne Brothers concert at the WNOX auditorium in Knoxville, Tennessee. Soon after that he began buying bluegrass records with money he saved from working in tobacco and hauling hay, developing his banjo style by drawing from the sounds of Flatt and Scruggs, JD Crowe and the Osborne Brothers. Rural Rhythm tells us that there will be more single and album announcements coming soon regarding the new “Wide Open At The Curve” series. Stay tuned. 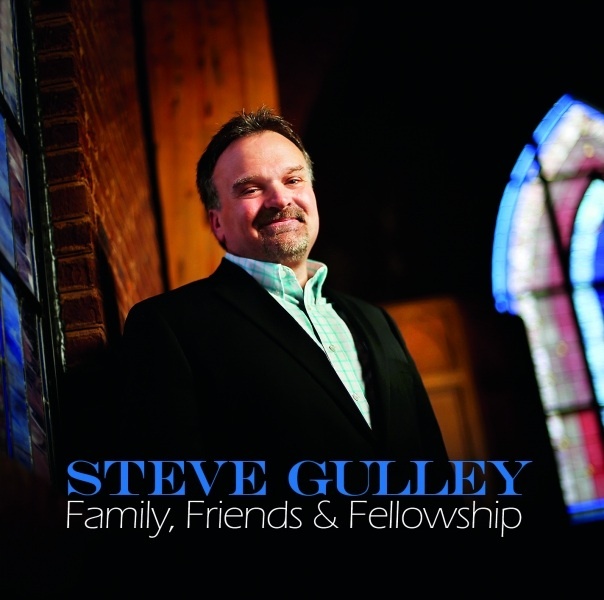 Steve Gulley’s first gospel album Family, Friends and Fellowship is released today on Rural Rhythm Christian. Joining Steve on his Family, Friends and Fellowship album is an incredible list of family and friend All-Star performers and musicians who were hand-picked to help make the songs and their message come to life in the most special way possible. Guest performers on this album include Doyle Lawson, Joe Mullins, Dale Ann Bradley, Rickey Wasson, Kenny & Amanda Smith, Les Butler, Don Gulley, Vic Graves, Debbie Gulley and Linda Gulley. They are backed by an impressive list of musicians including Adam Steffey, Tim Stafford, Ron Stewart, Mark Fain, Phil Leadbetter, Alan Bibey, Jason Burleson, Brandon Godman, Stuart Wyrick, Scott Powers, Bryan Turner, Gary Robinson, Jr.and Mark Laws. Produced by Steve Gulley and recorded at the Curve Recording Studios in Cumberland Gap Tennessee, Family, Friends and Fellowship contains 14 songs with a wide range of songwriters including many Steve Gulley original songs along with songs written by contemporary songwriters and standards by Ronny Hinson, Hank Williams, G.T. Speer, E.M. Bartlett, Carl Story, Gary Kidwell and more. My goal for this album is to share my spiritual journey through music that will hopefully make the listener think, reflect, reminisce and rejoice all while lifting their spirits and warming their soul – Steve Gulley. 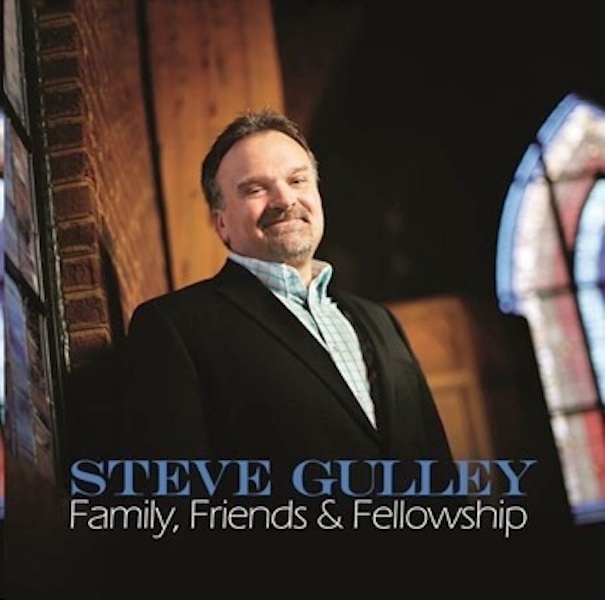 Below you will see the video promo track-by-track that takes you on an enjoyable journey with words and music by Steve Gulley as he talks about the back story for each song on Family, Friends and Fellowship. Steve tells why he chose the songs on the album and what the songs mean to him in his life. Also, you will learn about the development of the album and more about the impressive list of family and friends who helped create the album Steve always wanted to make. Family, Friends and Fellowship is now available on iTunes, Amazon, and all digital music and CD retailers. The album is also available for D.J. downloads on AirPlay Direct. Rural Rhythm Christian is proud to announce Steve Gulley’s first gospel album Family, Friends and Fellowship will be released on 22nd July. The Gulley family name enjoys a rich musical heritage that reaches across generations with strong roots in gospel music. It started with long time radio personality Don Gulley who was a founding member of the Bluegrass group the Pinnacle Mountain Boys. Steve Gulley performed for many years with Doyle Lawson & Quicksilver, was a founding member of Bluegrass supergroups Mountain Heart and Grasstowne, was a regular featured performer at Renfro Valley and now performs with Dale Ann Bradley. Joining Steve on his Family, Friends and Fellowship album is an incredible list of family and friend All-Star performers and musicians who were hand-picked to help make the songs and their message come to life in the most special way possible. Guest performers on this album include Doyle Lawson, Joe Mullins, Dale Ann Bradley, Rickey Wasson, Kenny & Amanda Smith, Les Butler, Don Gulley, Vic Graves, Debbie Gulley and Linda Gulley. They are backed by an impressive list of musicians including Adam Steffey, Tim Stafford, Ron Stewart, Mark Fain, Phil Leadbetter, Alan Bibey, Jason Burleson, Brandon Godman, Stuart Wyrick, Scott Powers, Bryan Turner, Gary Robinson, Jr. and Mark Laws. My goal for this album is to share my spiritual journey through music that will hopefully make the listener think, reflect, reminisce and rejoice all while lifting their spirits and warming their soul” – Steve Gulley, Singer, Songwriter, Producer. Steve’s first single from the album certainly accomplishes his goal with the uplifting gospel standard “Victory In Jesus” which has a fresh feel with those Steve Gulley signature vocals and performed by an All-Star Bluegrass cast including Tim Stafford (Guitar), Adam Steffey (Mandolin), Ron Stewart (Banjo & Fiddle), Mark Fain (Bass) with harmony vocals by Bryan Turner. Available soon will be a video track-by-track by Steve Gulley discussing the backstories on each song and a lyric video for the single “Victory In Jesus”. The album, <em>Family, Friends and Fellowship</em>, is now available for D.J. downloads on AirPlay Direct. Steve Gulley is currently on tour with Dale Ann Bradley and playing solo performances. Visit Stevegulley.com for a complete listing of his tour dates. 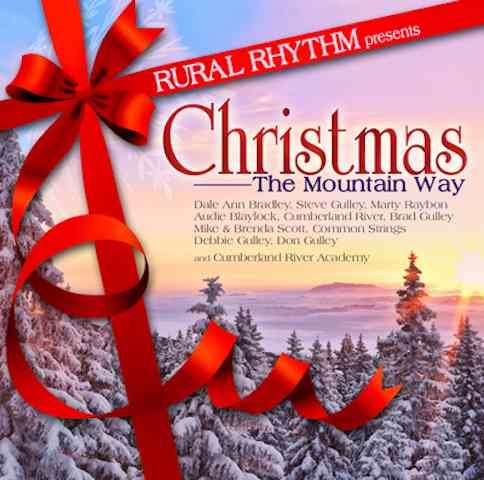 Rural Rhythm Records has announced the 13th November, 2012 as the release date for their Christmas The Mountain Way CD / DVD. This live performance musical show, hosted by Mike Scott, was filmed earlier this year at the Bell Theater in Pineville, Kentucky showcasing Christmas and its traditions in the Appalachian Mountains. This special CD / DVD features performances by: 2012 IBMA Female Vocalist of the Year, Dale Ann Bradley; Steve Gulley; Grammy winning artist, Marty Raybon; 2012 IBMA Male Vocalist of the Year Nominee, Audie Blaylock; Cumberland River, Common Strings, Mike Scott, Brenda Scott, Brad Gulley, Debbie Gulley, Don Gulley, Students of the Cumberland River Academy, and more.